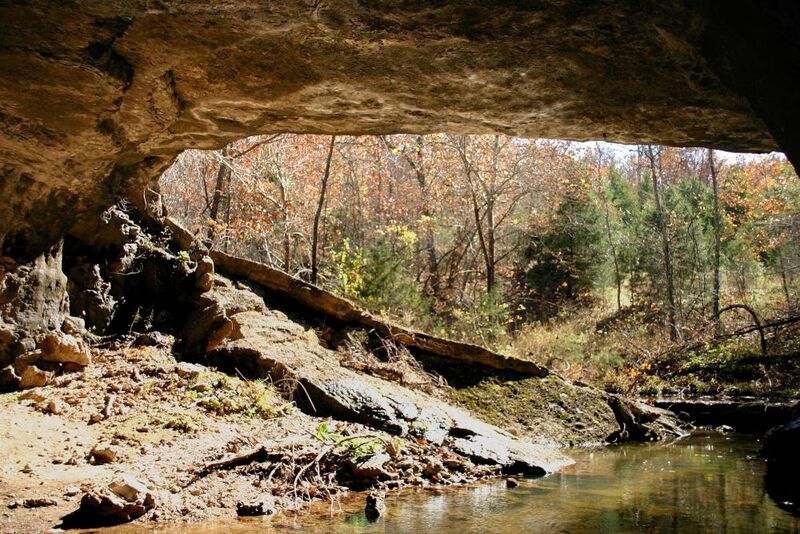 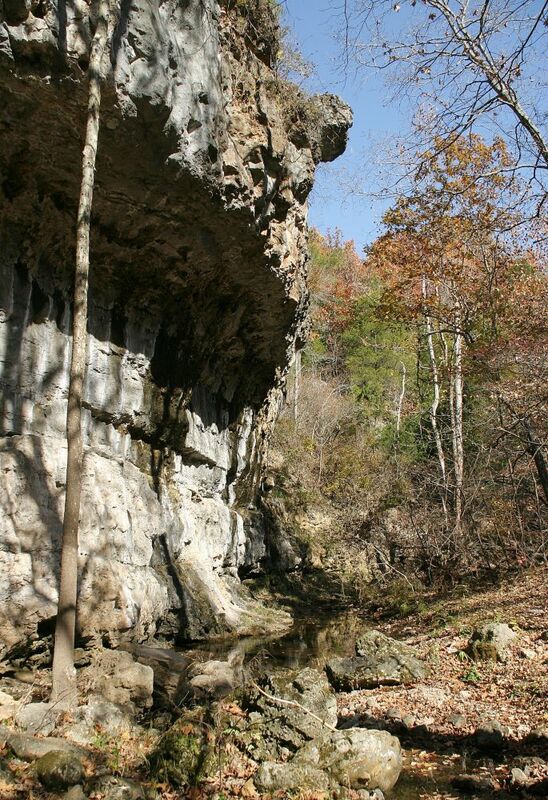 Bennett Springs is mainly popular for its fishing, but it also has a beautiful hiking trail to a natural tunnel. We usually walk the Eastern trail in and out, which shortens the round trip somewhat, because it is more scenic than the Western branch. 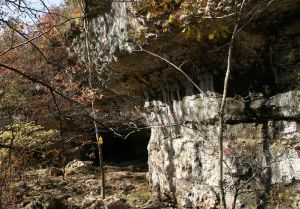 If you go through the tunnel and to the left, there are interesting bluffs.